I was therefore super excited that this highly recommended serum did nothing but good for my skin... Caudalie S.O.S Thirst Quenching Serum can be applied morning and evening to face and neck [never forget the neck!] before your moisturiser... I don't necessarily use moisturiser every time with it as I find it does a great job on it own, but if you have a super dehydrated skin then the serum will help the moisturiser get more absorbed... I love how it just disappears into the skin, it's very light as it is a serum... Literally, immediately after you apply it you can see how plumped up and lovely your skin looks without that greasy gloss that a deeply hydrating moisturiser would do... 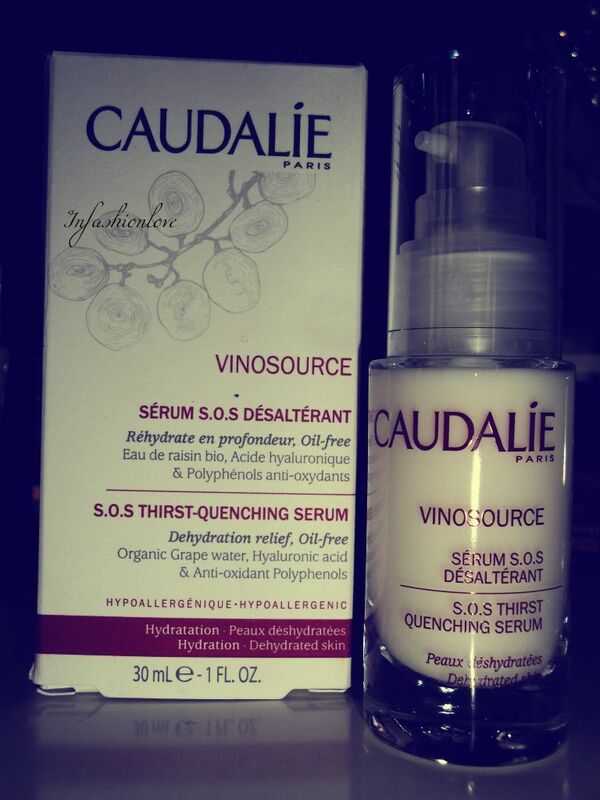 I absolutely love this serum and couldn't recommend it more!